This adorable project is meant to show mothers how much their child loves them. By creating this hand craft the child uses a physical representation to display the most valued emotion shared between mother and child. Supplies Needed; Yellow paint, paint brush, Styrofoam ball, pipe cleaners, markers and construction paper. Paint your Styrofoam ball yellow, and allow to dry. Once dry, insert pipe cleaners into ball at desired length. 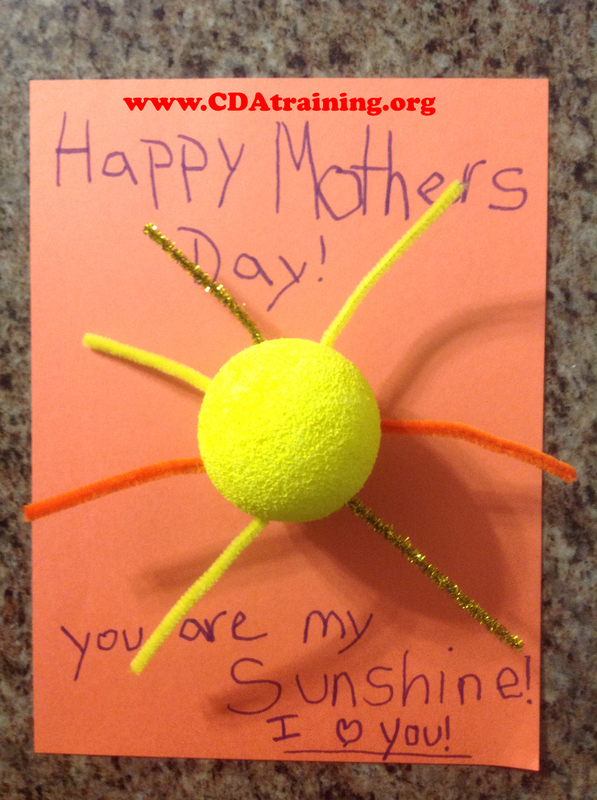 Affix a paper saying "You are my sunshine, in child's handwriting, consider adding "Happy Mothers Day". This was a very easy craft to complete, and the kids loved the result. 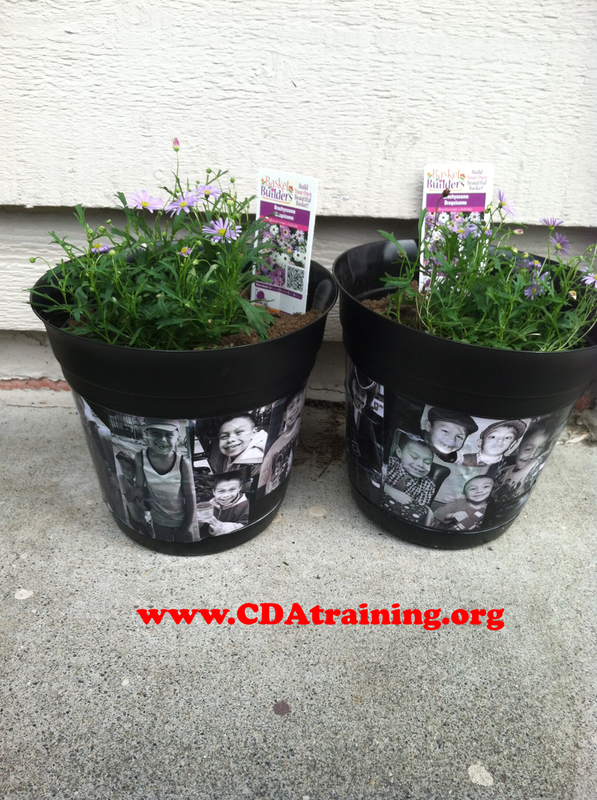 Supplies Needed; Plastic flower pot, black and white photos of children, scissors, glue, modge podge, soil, and flowers. 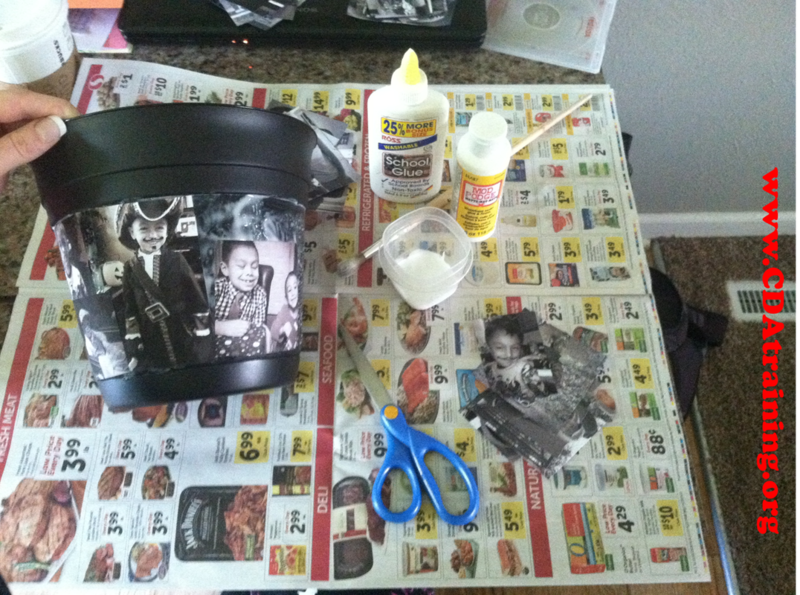 Cover the pot in a thin layer of glue and place your photos (collage style) where desired. Allow to dry. Cover the photos in a layer of modge podge and allow to dry again. Then plant your flowers as desired. 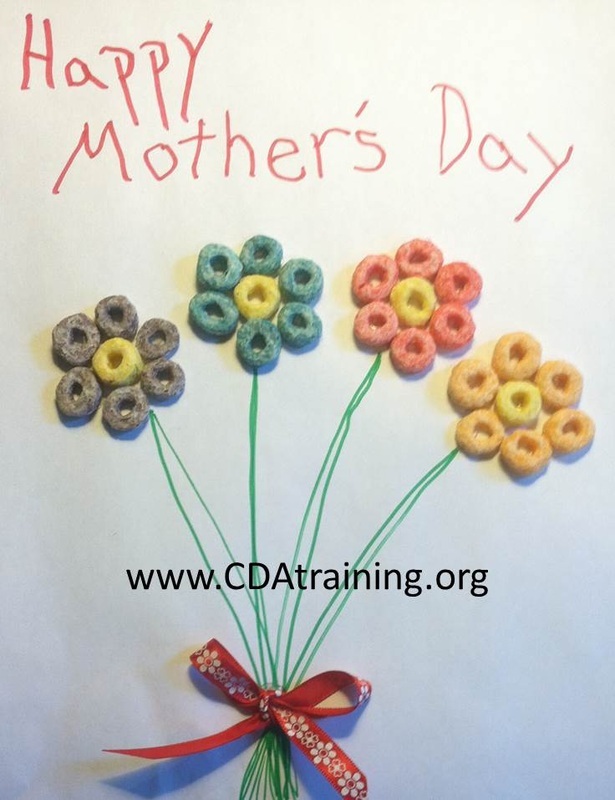 This was a quick and easy craft to make with the babies. We just make a thumb print in a ball of clay, then used a chopstick to poke a hole in the top of the clay. Allow it to dry overnight. We then copied a poem, and pasted it into the card. If the children are old enough, have them decorate the front of the card. 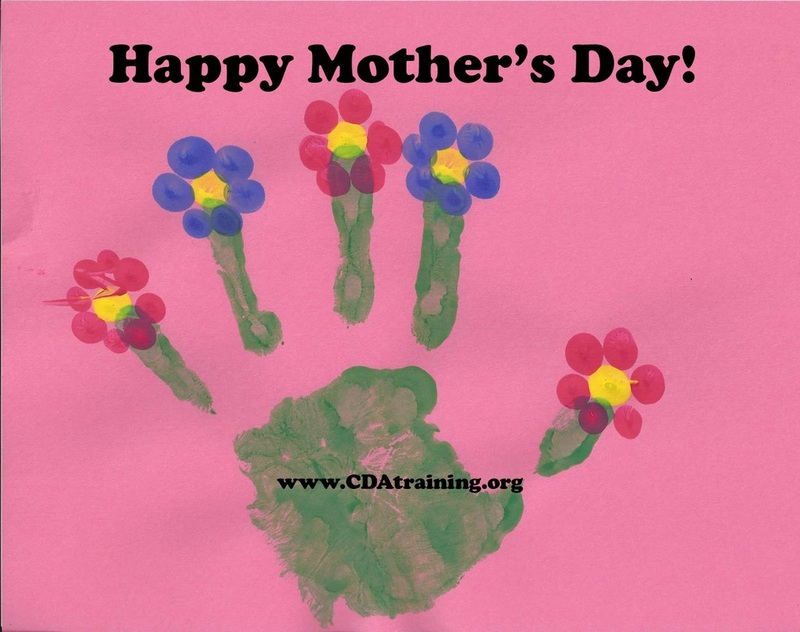 This one can be created by painting the child's hand green, then asking the children to use their fingers to paint on the flowers at the tips of their fingers. 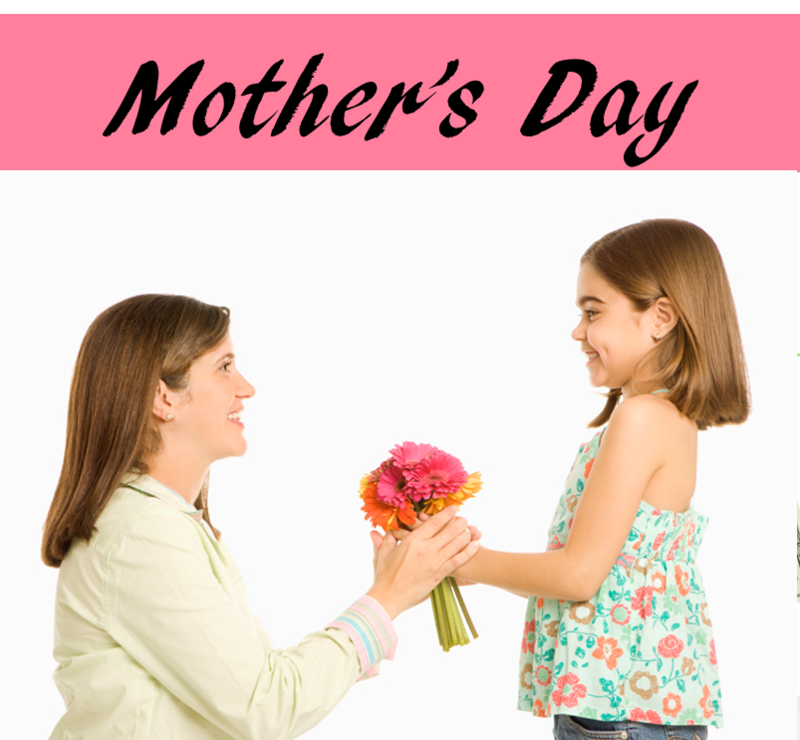 You can write in "Happy Mother's Day" or ask the children to write it. 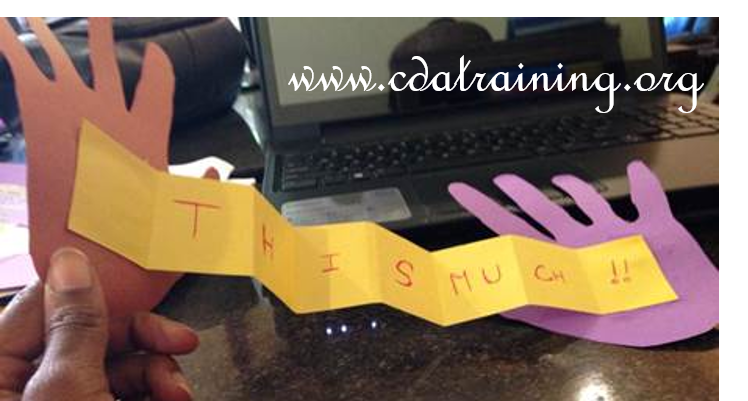 Fold a piece of Card Stock in half to create a card. Have the child cut a rectangle out of construction paper and rip a bunch of construction paper into pieces. Using a black marker write on the card as is shown in the pictures, with a heart inside of the card. 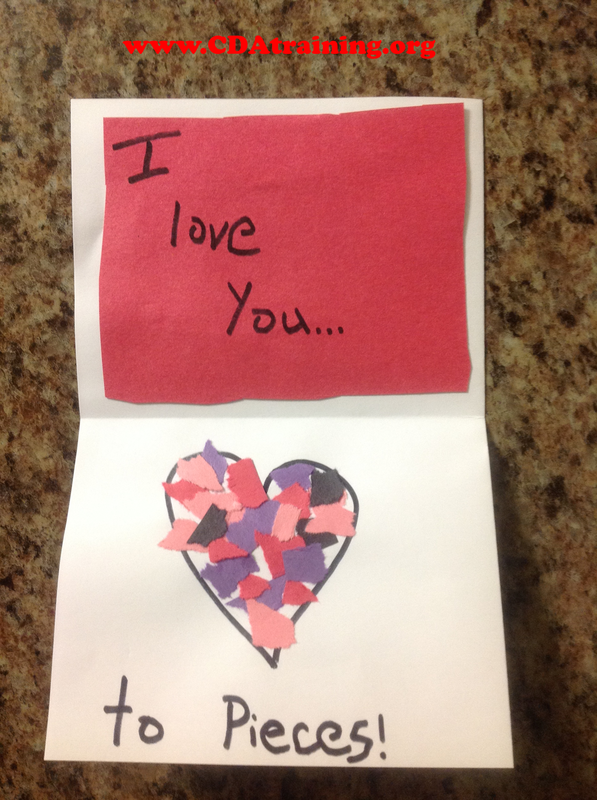 Write "I love you" onto the rectangle and have the child glue it on.The child will then glue the pieces of construction paper on to the front of the card, and in the center of the heart.